There’s no doubt that 2013 was a legendary year for Florida State football. The offensive explosions and lights out defense resulted in many games being over by the second quarter. But the dream almost ended in Pasadena just after the new year. The Seminoles were set to match up with Cinderella team of college football that season, the Auburn Tigers. Led by Gus Malzahn, the Tigers had a 12-1 record and had won nine straight games, a few with incredulous endings, to march into the national championship. 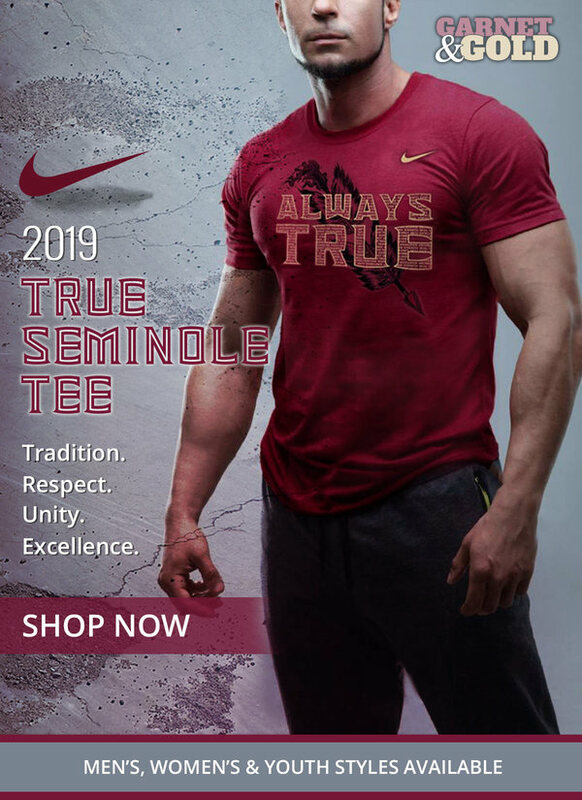 Still, considering how FSU had handled their opposition all season, `Noles fans were confident that they’d be bringing home the trophy for the third time in program history. After neither side was able to generate much offense in the opening quarter, Auburn found their rhythm in the second. A long touchdown pass from Nick Marshall and a score on the ground by Tre Mason quickly had the Seminoles staring at a 21-3 deficit. Nearing halftime and needing a momentum play, Jimbo Fisher called possibly the gutsiest play he’d ever drawn up. Florida State faked a punt, handing the ball off to Karlos Williams and tricking Auburn to gain a first down. The `Noles would go on to score on a Devonta Freeman rush to cut their deficit to 21-10. Both sides again struggled in the third quarter, with FSU managing just a field goal to trim Auburn’s lead to 21-13. The final BCS National Championship in college football history would be decided in the final frame. P.J. Williams intercepted Marshall on the Tigers first drive of the fourth quarter and the Seminoles quickly converted the turnover into a touchdown pass from Jameis Winston to Chad Abrams. Auburn responded with a field goal to push their lead back to 24-20. However, Florida State wasn’t going to back down and Kermit Whitfield provided the second best play of the day to put his team back up. Whitfield fielded a ball at the goal line on the ensuing kickoff and took it back all the way to give the Seminoles their first lead of the day, 27-24. It felt like they’d done it. FSU had to have this game, right? In the words of Lee Corso, not so fast, my friend. The Tigers went right down the field, going back in front, 31-27, with just 1:19 remaining on a long touchdown run from Tre Mason where he shook off multiple defenders. With the game truly on the line, Fisher turned to his Heisman-winning quarterback to lead Florida State to victory. Though the situation looked dire, Winston quickly found Rashad Greene on a slant-route for a 49-yard gain where he split between two defenders. After completing five of his six passes on the drive, the redshirt freshman quickly found himself on the cusp of the end zone, standing at Auburn’s five-yard line. A penalty moved FSU up to the two before Winston delivered the game-winner. The Alabama native faked it to Freeman before tossing a high-arcing ball to a leaping Kelvin Benjamin, who corraled the pass for a touchdown. The `Noles were able to hold off Auburn on defense to secure one of the most exciting national titles in college football history. Watch Gene Deckerhoff’s legendary call of the moment below. It’s hard to tell how he was able to keep his composure so well after that. #CountdownToKickoff: 2️⃣4️⃣ days until Sept. 1@gened01 is a LEGEND.